Ananka's Diary: The Eternal Ones is Out in the UK and Australia! Congratulations! I've got it on order from my local. Thank you, GB! You Aussies are so lucky. I'd love to ride a kangaroo. Ha. YAAAAYYYY! :D I can't wait to read it. Yes, it looked like an ostrich to me, but the label said, "emu." Oh well. 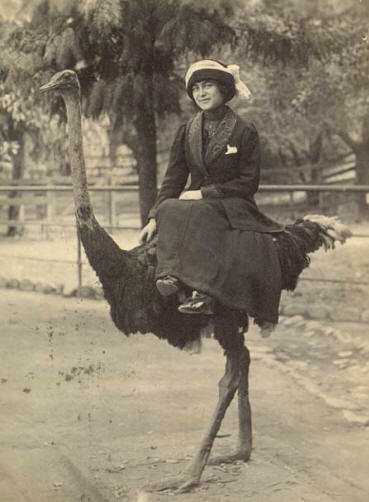 Let's just pretend it's a rare Welsh ostrich, shall we? You know, kangaroos can't walk backwards. Nikki: I'd say 14+, but that depends on your parents, of course. Wait... It is a welsh ostrich. We don't have to pretend. I did a school report on them. its an ostrich lol, the feathers are wrong to be an emu and you can see its tail feathers are white tipped which means its an ostrich. Emus feathers don't stick our like that either.